New and Unread! Multiple copies are available. The Christian life isn’t exempt from times of difficulty, strain, and worry. But God didn’t intend for you to carry the weight of the world on your shoulders. He offers an amazing gift to those who fix their eyes on Him: peace. 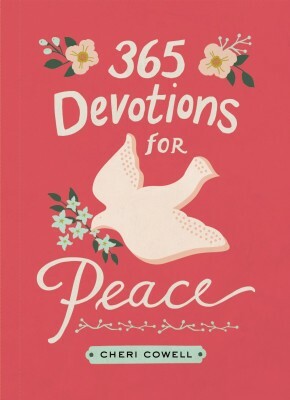 This 365-day devotional will help you release your worries to God and discover the peace that only He can give. Each devotion offers an encouraging Bible verse and closes with a prayer to help you find peace in the midst of any circumstance. Spending each day with the Author of peace will bring a restful and refreshing year.